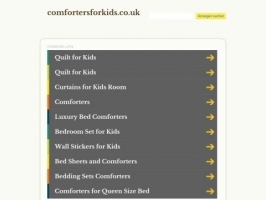 Description Comforters for Kids sell christening gifts for newborns. Our products include doudou et compagnie, taggies and baby nat. If you are looking for baby gift ideas, baptism gifts or newborn gifts then visit our site. Views 228 views. Averaging 0 views per day.